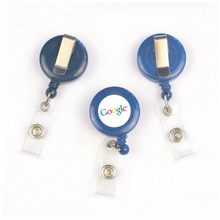 In order to meet most of customers and hang card accessories need, we provide various kinds of badge reels. 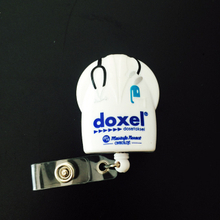 The ID badge reels of us have different materials, colors and shapes, so you definitely can find a appropriate one which you want. 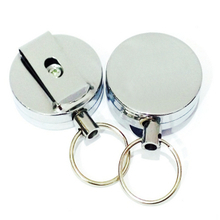 If you want one out of the ordinary badge reels, you can contact to tell us your demands, we will try our best to meet your needs. 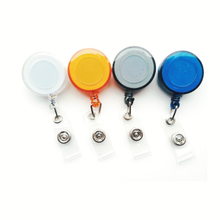 Our ID badge reels are equipped with retractable cable reel, it is durable, convenient and easy access to your cards and badges, and won't be in trouble. 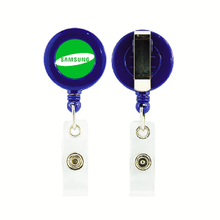 We can also accord your needs to print characters and logos on the ID badge reels, making it be your exclusive items. 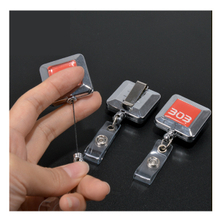 We also provide you with various kind of badge ID holders, and more hang card accessories, you can glance over our other product lists. 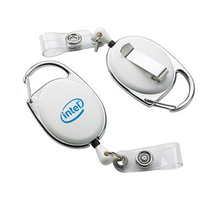 Please contact us promptly for any questions.